The first week of May was an exciting time for me this year. I had just finished school, and had managed to find a job, so I had a bit of time and the security to take off for a short trip. I decided to head to Bend, Oregon to take advantage of some late season skiing. The town of Bend lies at approximately 1100m above sea level. Every morning I could take a shuttle bus and travel 30km west to the groomed trails at Mt. Bachelor. The road climbs steadily to an altitude of 1900m at the nordic centre at the base of the mountain’s volcanic cone. 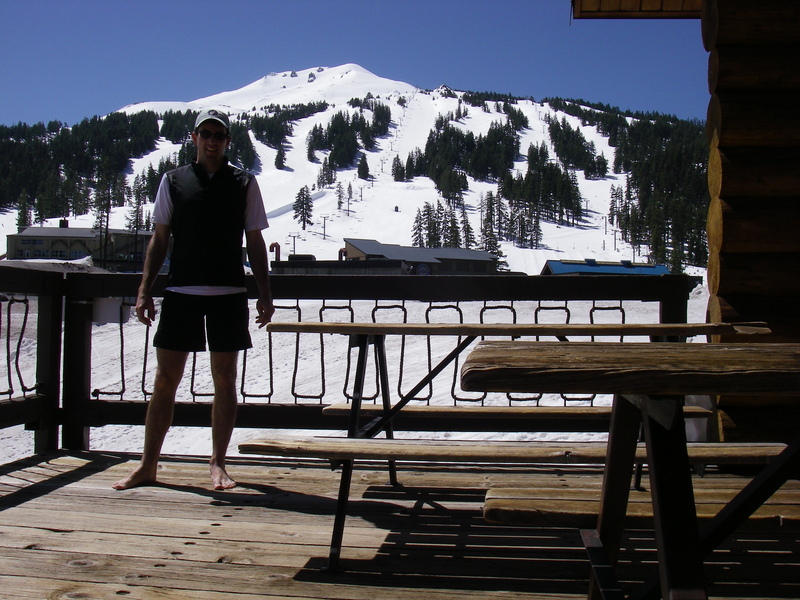 I was greeted by beautiful weather – the nights dipped just below freezing, and the days were crisp and sunny warming to about 15°C allowing for my all time favourite pursuit – skiing in shorts! My typical day involved an early start, a skate ski in the morning, lunch, and a classic ski in the afternoon on waxless skis or klister as the snow warmed. If you follow nordic skiing news, you probably know that the American and Canadian teams are currently holding camps in Bend right now, and they have even gotten some fresh snow this week! 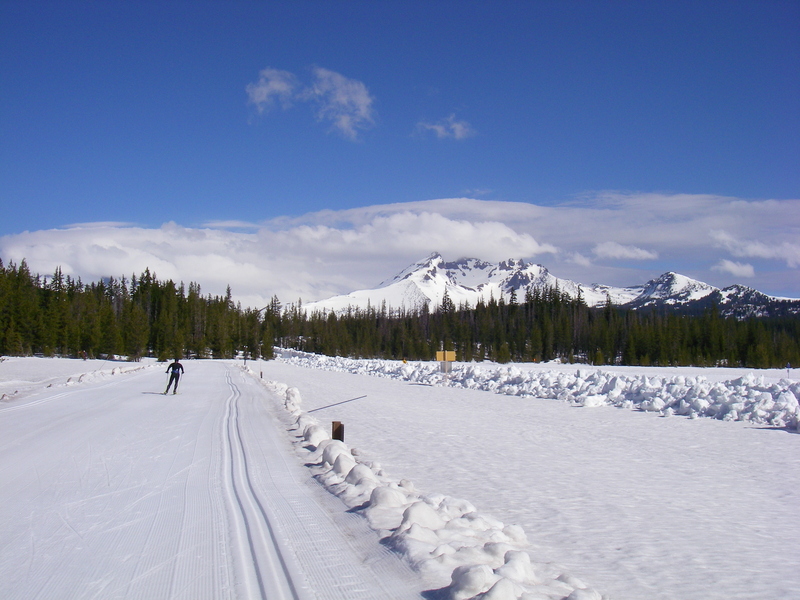 Bend is a perfect town for outdoor athletes. I wish I could have spent longer there in order to explore some of the cycling (both road and MTB) opportunities in the area. I’ll also have to return one day to race the famed Pole Pedal Paddle race. During my visit I also ran into the ski team from Dominica. It was really nice to be able to chat with fellow friendly skiers working outside the framework of large national teams. Overall this camp was an amazing way to start my preparations for the year ahead. I can usually find the time to train, but having the time to train twice a day, sleep and eat properly and even read some books in between was a luxury that I haven’t had in a long time. Enjoying the sun on the deck of the nordic centre with Mt. Bachelor (2764m) in the background.